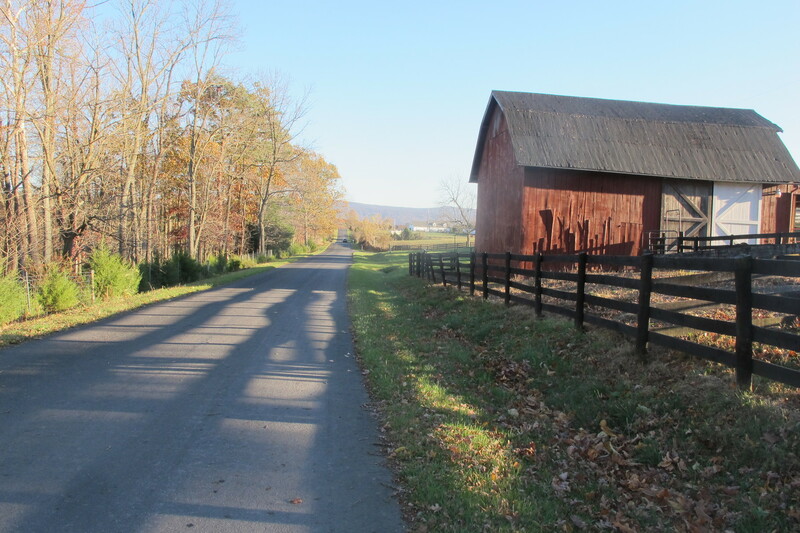 The location was in the north western part of Virginia . The "Take It!" came from my having come off of a stop to make a previous photo and was driving slowly. 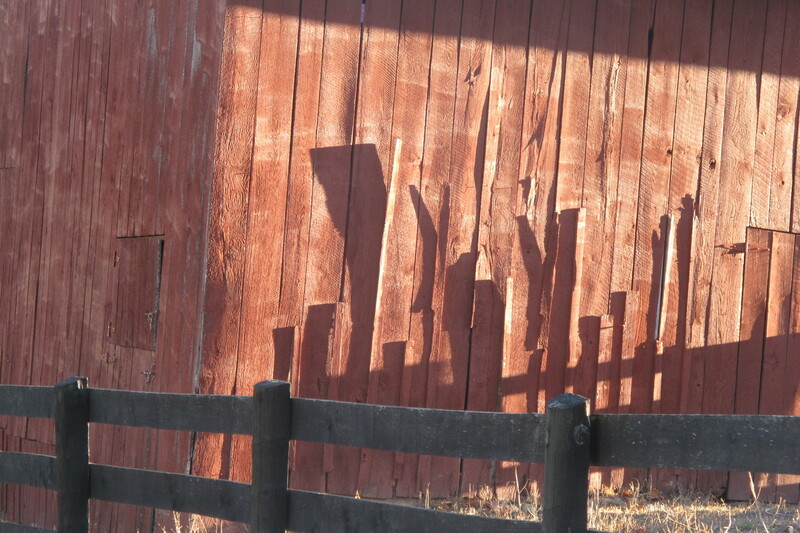 I saw the barn in the distance and noticed some dark images on the side which turned out to be some of the siding coming loose and spreading outward enough through warping to catch the sun and have shadows cast back onto the regular even surface. 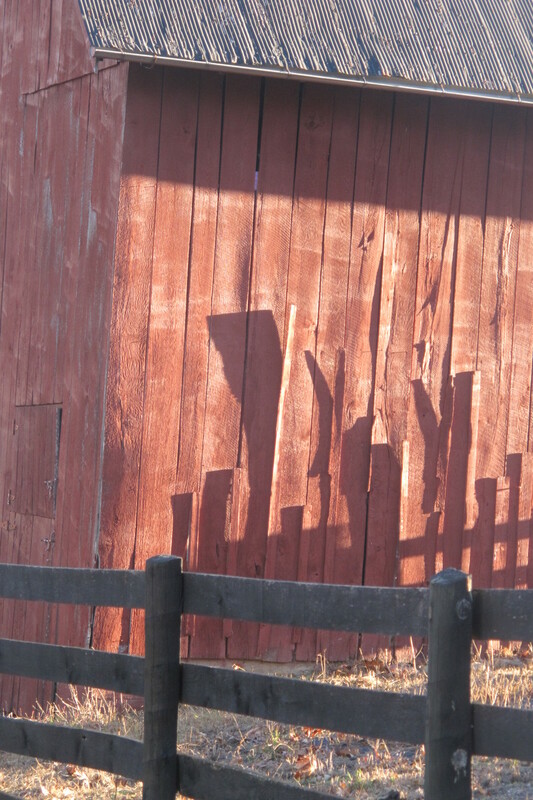 The above photo catches the shadows cast from the fence on the right which give the road a sort of lead in texture to the barn side show. This set of photos had to be shown for each has its own personality. I enjoy this kind of opportunity to let the viewer move along with me in choosing vantage points and seeing the results. I am usually a fan of early morning sun, but situation has found me in this location in the late afternoons. The late day sun has a different sort of intensity which also adds to the effect. The After Take: To those who I showed these to, all liked them. Some liked them very much. I never get tired of telling the stories of how I arrive at photos and also how I am constantly amazed at what is available for us to visually enjoy. Time for a new barn! You captured some great colors in this one. Great shot. I'd like to set the top image as a desktop background. If thats alright with you. I would have guessed it was a bunch of tools that were the shadows. They look like shovels and scythes. Thanks to everyone for your kind comments. I am glad you found the subject as provocative as I did. Teri: You are quite welcome to use part of the image for your desktop background. Hope it brings you some continued enjoyment. thatoneguy - hope you get some enjoyable responses and thanks for the pass along.